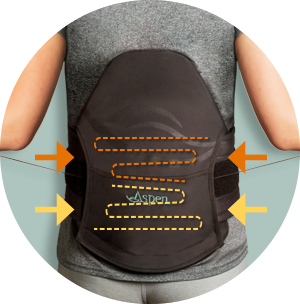 The Horizon™ 456 TLSO is designed to provide motion restriction, creating a dynamic environment for healing within the thoracolumbar and lumbar spine. 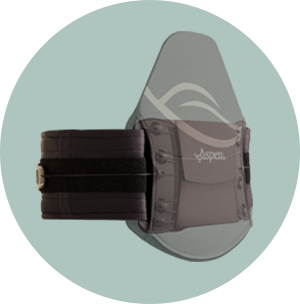 Comfortable to wear and easy to don and doff, the Horizon 456 TLSO was designed specifically to target patients with challenging indications such as compression fractures, burst fractures and hyper-kyphosis. 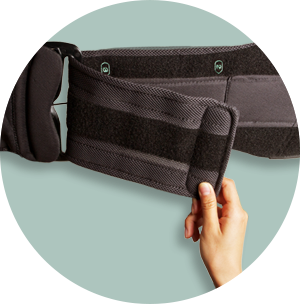 One-size adjustable, Horizon braces comfortably fit waist sizes ranging from 24-50 inches, and up to 70 inches with the extension panels. To further support patient recovery, the Horizon braces can be stepped down to the Horizon PRO for treatment of recurring ailments. 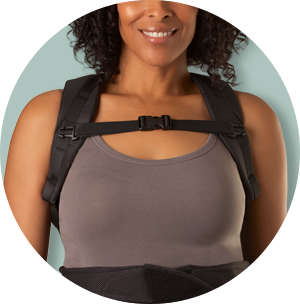 Telescoping shoulder straps provide 13 inches of height adjustment to effectively fit patients. This, along with circumferential adjustability, helps enable a tailored fit to accommodate most body types. MemoryFlex™ open configuration shoulder straps make donning and doffing easy while providing flexion and rotational control. Pull-through sizing mechanism allows for quick and easy adjustment, without the use of tools. Embroidered size indicators makes it easy to fit and adjust sizes. Regardless of which configuration a patient requires initially, all Horizon braces can be stepped down to the Horizon PRO, the lowest-profile option to help manage recurring ailments as needed.